Plumbing plays a vital role in your home maintenance and your plumbing system will not concern you until a case of emergency appears. Efficient plumbing system enables you to have access to clean and fresh water. This is essential to good health, hygiene and well-being of your family. Home plumbing systems add convenience to your daily living as you rely on them for your daily chores and other tasks. It is why we rely on professionals plumbers to fix our problems. But it helps to have a basic understanding of what could go wrong under our sinks, floorboards and gardens. Stoppages are probably the most regular issues that demand plumbing repair. A block in a pipe can bring ruin to your shower, sink or toilet. Moreover, it can be hard to identify the exact cause of the stoppage. Once known, it often takes the tools of a professional to dislodge the block, but their advice can help with prevention. Few household annoyances are more frustrating than a malfunctioning toilet, if only because we use the toilet so often. While the flush mechanism of a toilet is fairly simple, wear and tear of the parts and blockages in the piping demand plumbing repair. In fact, early detection of potential problems and prevention can fend off serious problems. We trust our sewers to transport our waste without any interference, and when they require a plumbing repair, the problem can seem much larger than that of any stoppage or pipe block. In fact, the tilt of your piping, the flow and reverse flow of the water, and the shifting of the ground are often the unseen chronic causes of sewer problems - hence regular check-ups are advantageous. No one likes to the see the grime of unclean water pouring out of their taps. Indeed, it is hazardous to the health of your family to allow contaminated water to backflow into your clean water pipes and system. It is more of a case of prevention than plumbing repair, as the connections and integrity of your pipes should be regularly checked to prevent any crossover with contaminated water. Some problems in your home are annoyances, while others can be real dangers. A gas leak falls into the latter category. If you do smell gas, open your windows and shut off all gas pipes. It is vital you call professionals and do not attempt the dangerous work of fixing the problem yourself. Of course, regular check-ups of your gas lines can reduce the risks dramatically. Sometimes, solving problems with your water heater is simply a matter of re-reading the instructions and checking your pilot light. In other cases, you will need an expert to check the quality of your tank. Most times a tank that is more than ten years old will need replacing. - Installation of water heaters, water filters, fixation of extensive yet efficient pipe networks, garbage disposals and more. Unclogging of your drainage pipes, inspection of sewer lines, and cleaning of your drain. 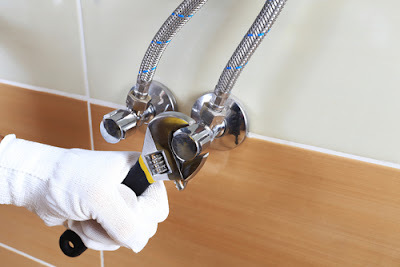 - Repair and replacement mod garbage disposals, pipes and all types of bathroom remodelling. By hiring a professional plumbing service, you can be sure that your work is done with latest technology and equipment. They used state of the art equipment for drainage pipe inspections and known for employing only best methods to remove foreign material even from the narrowest ducts. At certain times, it is impossible to identify and resolve your drainage problems on your own. In all such cases, professional plumbing service can be more than handy. It lets you to easily and effectively ensure the smooth and efficient running of your drainage system. When you hire professional and high-quality plumbing services, they buy all the necessary and additional equipment during the process themselves. So, you can be sure that you need not run here and there to buy the parts and accessories required for the plumbing services. By hiring skilled and professional services, you can be sure about the quality of service. 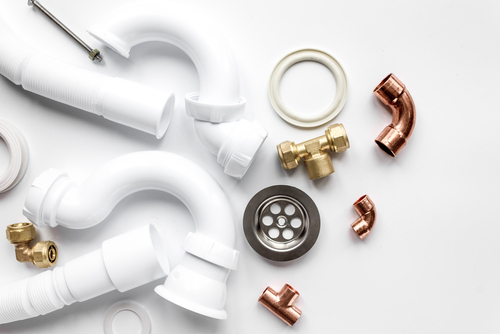 They have the knowledge of best plumbing products in the market and have the expertise to install and fit them in the plumbing system of your building. Thus, you will have your peace of mind that work is done with right equipment and best possible standards. Established plumbing company offers a guarantee with their services. Thus, you can be sure that if you face any plumbing issues within a specified time and period, they will come to fix your problems without charging a single cent. A professional plumbing service also guides you through necessary and latest upgrades that you should install in your bathroom or kitchen. These look decorative, help you to serve multiple purposes at a time and offers savings in certain cases like in the case of water heaters that helps to reduce your electricity bills. Everyone should know a little bit about plumbing, if for no other reason than to be able to stop a problem before it gets worse. The advantages associated with hiring an experienced plumbing service provider are many. There is a necessity to compare the experience, services, skilled workforce, certifications, insurance and valid referrals before finalising. Plumbing services perform quality services at affordable prices. Reputed companies work in the best interest of their clients. Speaking with the concerned person from the company will provide insight into the work they would be carrying. One can even know the procedure they would be implementing in dealing with several problems. It is an experience, skill and commitment of the professional that will deliver successful results when dealing with plumbing problems.